Welcome to Confessions of a Dietitian – a place where dietitians and nutrition savvy consumers alike talk about food. 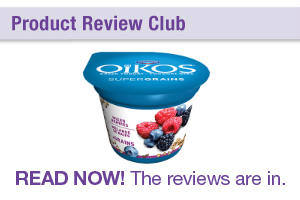 Sign up for the product review club to receive new and interesting food products and share the information across the nutrition community. This section is where nutrition savvy individuals will have an opportunity to review products that are receiving a lot of buzz and media attention. 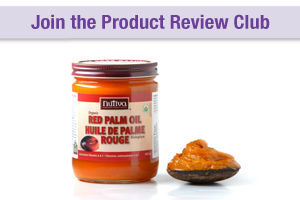 We coordinate the delivery of products into the hands of reviewers so they can actually try the products, post a review on it and share the information with the community. Studies have shown that the more you cook, the better you eat. But cooking can be overwhelming for the starter cook or if you’re pressed for time. This is where we help to bridge the gap by featuring convenience products against their homemade counterparts. Sometimes it takes just as much time to prepare something out of a box as it does to make it from scratch. Other times, a convenience version may be a good alternative. It really depends on the individual. This section gives people the ability to try convenience foods with the option of trying to make the homemade/from scratch equivalent. We also feature healthier version cook-offs (where you take a classic recipe and put it up against a healthier version). This is for the culinary adventurous who are interested in trying new foods and less common ingredients. We feature unfamiliar foods (e.g. endive, asparagus, beets, leeks, Brussels sprouts, artichokes, quinoa, lentils, chickpeas, cauliflower) to encourage people to cook with it. Not all of us eat the same things so it’s a great opportunity to share your knowledge and familiarity of an ingredient with others (or push yourself outside of your comfort zone and try something new).